Installing the Windows version on 64-bit systems requires a workaround. See Installing on 64-bit versions of Windows. 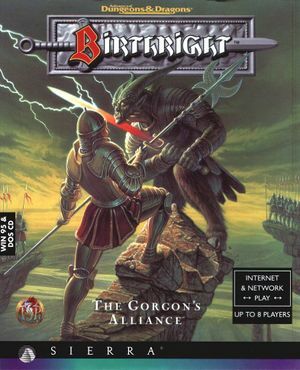 CD contains both DOS and Windows 95 versions. 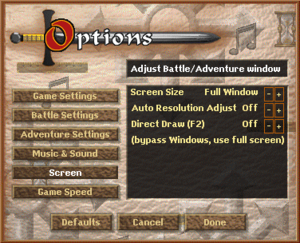 Toggle with F2 for Windows; for the DOS version in DOSBox use Alt+↵ Enter. Multiplayer is only available in the Windows version. 8 Official servers have been shut down. The Windows version needs a workaround for the 16-bit Sierra installer when using a 64-bit version of Windows (for the DOS version use DOSBox). Copy the CD contents to a folder on the system. This will be the installation folder. If the CD drive letter is not D: edit <path-to-game>\BRSETUP.CFG and change the letter under the [CD] section. Run the game with WINBR.EXE. 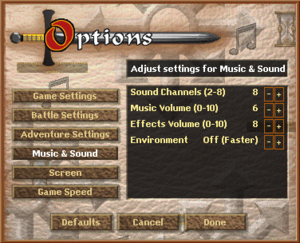 Set Auto Resolution Adjust to Off. Official editors are available for altering characters and scenarios. This page was last edited on 12 April 2019, at 07:31.